Handcrafted with Pride in our Factory in Jersey City, New Jersey USA. 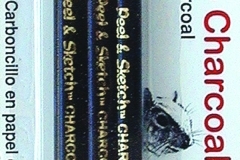 General Pencil Company’s art and craft pencils come to you from our factory in Jersey City, New Jersey. We believe in quality, tradition, value, and the fun of creating. We take pride in handcrafting quality pencils and artist materials using traditional methods passed down for six generations. Our history dates back to 1860.when Edward Weissenborn began the first pencil factory in the USA. In 1889, Edward and his son, Oscar A., began what is now General Pencil Company. Still family owned and operated, our goal is to create consistent, quality products in a sustainable manner for artists of all levels. We thank you for choosing our fine art and craft products for your creative talents and enjoyment.